JanetBasket Eco Bag - JANETBASKET-EcoBag. The EcoBag is potentially the ultimate project tote. 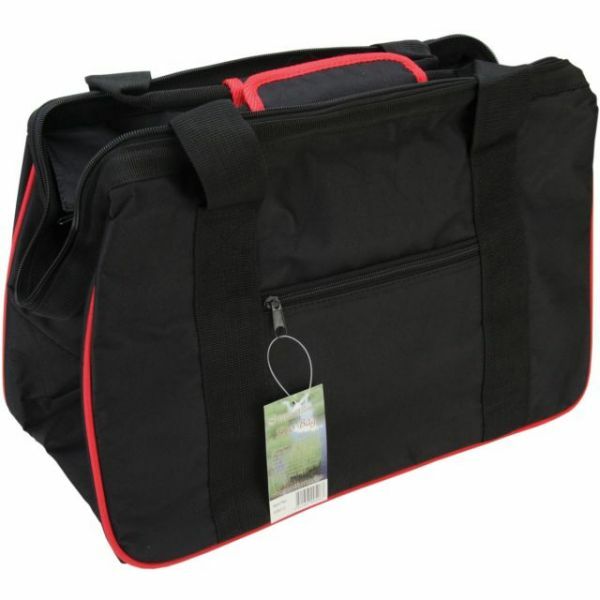 The extended zipper opens down the sides of the bag for easy access to entire bag interior. These phenomenal totes feature large pockets that line the interior sides and ends of the bag, bags are lined in coordinating solid nylon fabric, bag bottoms feature large rubber mat corners, the edges have metal supports so the bag can be opened without collapsing making it the perfect tote for the on-the-go crafter and the bag is covered in a durable canvas. Bag measures 12x18x9in. Available in a variety of JanetBasket unique patterned and solids fabrics. Imported.